Cutting-Edge Research May Soon Change the Lives of People with Heart Failure, Cancer, Rare Genetic Disorders, Dementia and More. Research Being Done Right Here in Maine. Right now, a heart attack could damage your heart irreparably, killing muscle that could leave you forever weakened or end your life. A scientist thinks your body can regrow that muscle, and he’s working on a way to do it. Another researcher is looking at a cure for chronic pain — without opioids. Another, a fix for blindness. Yet another, predicting breast cancer long before a tumor shows up on a mammogram. These researchers — often working with cutting-edge genetics — are all focused on the same goal: coming up with medical miracles that will change lives. While that sounds like the kind of research restricted to large universities and labs in big cities, it’s all happening here in Maine. 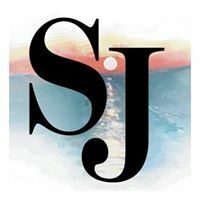 “There’s tremendous opportunity here,” said Jerilyn Bowers, spokeswoman for MDI Biological Laboratory in Bar Harbor, which is so excited about its heart muscle regeneration drug that it’s spun off a new company to shepherd the drug through clinical trials and to work on other regeneration possibilities. The work is going on not only at MDIBL and The Jackson Laboratory in Bar Harbor, two of the state’s most well-known labs, but also at small colleges (think Bates College in Lewiston), the University of Maine System’s flagship campus in Orono and a Portland hospital. The research brings millions of dollars into Maine each year through federal grants, nonprofit foundations and private funders. It also supports jobs, and not just scientists. Such biomedical research has the power to change the course of people’s lives — to cure disease, ease pain, save a child, prolong life. We looked at 10 of the most promising projects in Maine. When Andrew Kennedy was a neuroscience graduate student at the University of Alabama at Birmingham, a group of desperate parents reached out to his mentor, then-UAB neurobiologist David Sweatt. Their children had Pitt Hopkins syndrome, a very rare genetic autism-spectrum disorder that can cause profound developmental delays and intellectual disabilities, breathing problems, seizures, gastrointestinal problems and an inability to talk or use sign language for even the simplest communication. They’d created the Pitt Hopkins Research Foundation, funded by bake sales and bike rides, and they wanted — needed — researchers to tackle their cause. Five years later, Kennedy is a new assistant chemistry professor at Bates College in Lewiston and one of a handful of researchers across the country working on a way to cure Pitt Hopkins by altering its genetic destiny — and, if they’re successful, change the fate of people with other disorders, including Alzheimer’s disease. How does it work? Everyone has two copies of a gene called TCF4. Due to a random mutation, people with Pitt Hopkins have a defect in one of those copies. Using cancer drug vorinostat, Kennedy believes he can boost the one working copy of TCF4 to compensate for the damaged copy — like turning up the radio when it has one broken speaker. He’s also looking at other drugs that can do the same thing without the side effects of vorinostat, which has all the problems associated with chemotherapy. Where does the research stand? When Kennedy gives the drug to teenage (2-month-old) mice who have been genetically altered to mimic Pitt Hopkins, they learn better and show dramatically improved memories. In one experiment, mice with the broken gene could not remember where an underwater platform was located in their mouse-sized swimming pool even though they’d encountered it in the same spot more than a dozen times in the previous two weeks. After vorinostat, they remembered. A paper on Kennedy’s work was published last summer in the biomedical journal Cell Reports. What’s next? Research on dosing. And clinical trials with people to test safety and efficacy. How long before it’s available to the public? Because the drug is already being produced, not long. If all goes well in clinical trials, it could be promoted as a treatment for Pitt Hopkins in as few as five or six years — astonishingly fast considering scientists didn’t even know the gene that caused it until 2007. Greatest hope: A cure for Pitt Hopkins. The drug also shows promise in memory disorders, including Alzheimer’s disease, and it gave a “cognitive boost” to healthy mice, which means it could enhance normal brain function. Voot Yin knew a zebrafish could re-grow its severed tail or sliced-off heart tissue, so why couldn’t humans? Today, Yin is a regeneration biologist and assistant professor at MDI Biological Laboratory in Bar Harbor, leading a team studying a drug that could nudge the human body into regenerating heart muscle. So far, it’s worked on adult mice, taking them from heart failure to nearly normal. If the drug even comes close to working that well in people — helping the millions whose heart muscle has been irreparably damaged by a heart attack and who are dying of heart failure — science fiction could soon become a reality. How does it work? Zebrafish — those stripey little fish popular in home aquariums — share 70 percent of the same genes as humans, including those for regeneration. Human babies can re-grow heart tissue after a heart attack, but we lose that ability as we age and regeneration genes switch off. Zebrafish never lose it. They tested 12 to 15 drugs looking for one that could speed regeneration in regular zebrafish and flip on that switch in fish genetically altered not to regenerate. They found hope in one called MSI-1436, a compound that comes from the dogfish shark and was previously tested as an appetite suppressant. Where does the research stand? MSI-1436 tested well in zebrafish, so Yin and his team moved on to adult mice. The drug prompted mice to make new heart cells and increased heart function by about 200 percent four weeks after a heart attack. It also decreased scar tissue by about 50 percent — important since scar tissue can prevent the heart from pumping well. What’s next? Testing in pigs this summer if an NIH grant comes through. How long before it’s available to the public? If pig testing goes well, it could take 5 to 7 years before human trials could begin and years more before it could become a treatment. Greatest hope: Heart disease is the leading cause of death for adults in the U.S., and millions more survive a heart attack only to live a diminished life because their heart was damaged. Others risk heart damage during chemotherapy, forcing them to either lower their dose of chemotherapy or stop the cancer treatment altogether. Yin envisions a day when MSI-1436 takes care of it all. “How I like to think about it is that a child that’s born today, in the ideal situation, I would love for that child by the time that he or she reaches college, the idea of dying of a heart attack would be completely obsolete. That’s my hope,” Yin said. Broken bones are a problem. Cast? Doesn’t align bones that have multiple breaks well, and can freeze joints for too long, potentially causing arthritis. Screw on metal plates with surgery? Risk weakening the bone and causing more breaks later on. Stabilize the bone with temporary pins drilled into the bones from the outside? Preferable in a lot of cases if it weren’t for almost guaranteed infection. And infection can kill. “Generally to heal it’s going to take you six to eight weeks. (Pins) almost have a 100 percent infection rate. By a couple of weeks, a lot of them get infected right down in to the surface of the bone,” said Jim Weber, a veterinarian and associate professor in the School of Food and Agriculture at the University of Maine at Orono. He is part of a team that’s come up with a new device to stabilize bones from the outside — without that risk of infection. How does it work? Weber and his team use a “titanium foam” — metal material that is very porous — to create the device on a 3D printer. Although pores seem likely to encourage infection since bacteria have more places to hide, researchers found that skin and other soft tissues quickly grow into the holes. “Just like you have an open wound, it fills in the edges,” Weber said. Where does the research stand? Researchers have implanted the devices in rabbits for up to seven weeks without infection. They are starting with pigs now. What’s next? Publish and present the data on pigs in a few years. If it’s found safe and effective, human trials. How long before it’s available to the public? Within 10 years if it goes well. Greatest hope: Change the way doctors treat badly broken bones. Improve treatment for battlefield injuries, which are initially stabilized from the outside now and risk infection. Improve prosthetic limbs, which often get infected at the insertion point where body and prosthesis come together. And, maybe, save some animals’ lives as well. “As a veterinarian, we get the same kind of awful fractures. You know, a horse that breaks its leg — a lot of times there’s nothing we can do with it. Maybe this can help us,” Weber said. Dementia does more than rob people of their memories. Sometimes it makes them violent. Aggressive. Agitated. Threatening. Paranoid. Depressed. Simple changes, like making them more comfortable, can help. So can medication, including antipsychotics. But sometimes nothing can help. That’s where Maine Medical Center’s 21-bed facility comes in. Researchers there are looking at ECT, or electroconvulsive therapy, for dementia patients who have severely disturbed behavior and haven’t been able to find help any other way. So far, it seems to work. How does it work? ECT sends electrical currents to the brain while the patient is under anesthesia and their muscles are relaxed by medication. Once commonly known at shock therapy — made infamous in “One Flew Over the Cuckoo’s Next” — ECT started to fall out of favor in the 1960s. It’s gained new popularity as it has become safer and as anesthesia and muscle relaxants made it more comfortable. Where does the research stand? Doctors at MMC turned to it for dementia patients 14 years ago. Their facility was a last hope for Mainers who had gotten kicked out of nursing homes or were endangering family members. With family consent, MMC began treating patients with ECT. It wasn’t perfect — short-term confusion, memory loss and, uncommonly, heart arrhythmia are side effects — but patients stopped being aggressive and agitated, and they were more alert and interactive. They didn’t need to take medication, which family members liked because the drugs had their own serious side effects and increased the risk of death. MMC has treated 150 to 200 patients. It’s now participating in a research project with McLean Hospital in Massachusetts to study ECT’s efficacy. What’s next? Research publication in a couple of years. How long before it’s available to the public? Available now at MMC. Campbell believes it could become a national standard within 20 years. Greatest hope: ECT becomes available at other hospitals in Maine so dementia patients can stay closer to home. It becomes more widely used for treating mental illness. People with glaucoma — an age-related disease marked by high eye pressure and vision loss — don’t have a lot of great options. Eye drops and surgery may help symptoms and halt progressive vision loss, but those therapies have side effects and there’s no fixing the optic nerve once it’s damaged. For glaucoma patients, blindness is permanent. But researchers at The Jackson Laboratory believe they’ve found a way to treat — and even prevent — the disease. All with a common vitamin. How does it work? Using mice, researchers looked at the very earliest changes in eye cells, long before vision loss. They figured if they could make those cells more robust, they could keep eyes healthy even as people age. Vitamin B3, they found, could do that. Researchers gave mice B3 in their water. Even though the mice were genetically predisposed to develop glaucoma — one of the leading causes of blindness in humans — they never did, no matter how old they got. “All they had to do was keep drinking the water,” said Pete Williams, post-doctoral associate at The Jackson Laboratory in Bar Harbor. Where does the research stand? It’s shown promise in mice, with B3 protecting eyes from glaucoma 70 percent of the time. Higher doses were protective 93 percent of the time and it also lowered eye pressure in many of the animals. “We almost completely eradicated the disease in these mice,” Williams said. What’s next? Testing in other animals. Establishing a human clinical trial with specialists at Columbia University Medical Center in New York. How long before it’s available to the public? Vitamin B3 is found in food and supplements are available in stores, but safety in high doses and efficacy in human glaucoma patients needs to be proven. That could take three to 10 years. Greatest hope: While researchers believe high-dose B3 won’t eradicate all glaucoma, they believe it could help a lot of people and help prevent vision loss for millions around the world. Millions of Americans suffer from chronic pain — often pain that outlasts an injury. It can be frustrating at best, debilitating at worst, and it’s one of the reasons the U.S. is facing a wave of opioid abuse. But what if there was a way to shut down pain without disabling side effects and without the risk of addiction? Researchers at the University of New England in Biddeford are working on it. How does it work? Fruit flies and humans share traits at the genetic and neurobiological levels, including the biochemical pathways that transmit pain. “We compare it to a volume knob for pain. If we can turn that volume knob down, it’s possible we can relieve the problem of pain,” said Geoff Ganter, professor of biology at UNE in Biddeford. Where does the research stand? Using fruit fly larvae — UNE researchers literally poke them — scientists have worked to map those pain pathways and block them by tweaking the flies’ genes. The result is a fruit fly that’s more resistant to pain. Although this research is still in its earliest stages, it ultimately could lead to drugs that make people more resistant to pain by blocking those same fly-discovered pathways in humans. “We’re using genetics to discover these components, but then we would use pharmacology to block the actual component,” Ganter said. What’s next? UNE researchers have discovered a dozen or so fruit fly genes to target for the treatment of chronic pain. They plan to look for more. How long before it’s available to the public? Maybe 10 to 20 years before this research leads to a drug on the market. Greatest hope: The creation of medication that puts an end to chronic pain without the side effect of addiction. In the late 1800s, scientists developed a “seed and soil” hypothesis for cancer. For a tumor to get bigger and metastasize, they thought, it must be in the right environment. The molecules and cells around it must contribute to its growth — like fertilized soil in a garden. More than a century later, researchers are going back to that idea in search of new ways to fight cancer. Scientists with the Maine Medical Center Research Institute in Scarborough believe they’ve come up with a way to make that soil inhospitable. How does it work? Collagen breaks down around cancerous tumors. Those fragments stimulate the growth of new blood vessels and help tumor cells grow and migrate. That fragmented collagen serves as a fertilizer for cancer. Scientists also believe it dampens the immune system, preventing it from attacking the tumor. Working with scientists from the New York University School of Medicine and other institutions, MMCRI researchers developed an antibody that selectively targets fragmented collagen. It significantly inhibited tumor growth and caused a resurgence in the immune system to fight off cancer. Where does the research stand? MMCRI researchers recently “humanized” one antibody, changing its molecular structure to make it usable in people. They’ve also developed another antibody that’s already proven non-toxic in a small, phase 1 human clinical trial and needs wider testing. What’s next? Human testing, maybe in four to five years. “We’re not ready yet, definitely not ready yet. But it’s such a new way of thinking about it and we’re getting really, really encouraging results in our laboratory models,” said Peter Brooks, a senior scientist with MMCRI. How long before it’s available to the public? Ten to 15 years, if no problems come up. Greatest hope: Even though it inhibits tumor growth, it likely won’t be a standalone cure for cancer. However, it could dramatically improve the efficacy of current immunotherapy drugs, which now have a 20 to 50 percent success rate. It could also help inflammatory disorders, like arthritis and psoriasis, since collagen fragments induce inflammation. When Jocelyn Duff’s daughter, Talia, was diagnosed with a subset of Charcot-Marie-Tooth disease six years ago, there was no treatment and little hope. The neurological disorder was life threatening and progressive, slowly robbing Talia, now 11, of her ability to walk, move her upper arms and breathe easily. With only 22 known cases in the world, no drug manufacturer was going to work on a cure. Enter The Jackson Laboratory’s Rare and Orphan Disease Center in Bar Harbor. For the past several months, researchers there have been developing mice with Talia’s specific gene mutation, helping scientists in other institutions develop gene therapy and a possible cure. It’s one rare disease of many that the center is working on, taking the first steps toward treatments for illnesses that would otherwise not get attention. How does it work? The Jackson Laboratory uses gene editing technology to create mice with the same mutations and genetic disorders as their human counterparts. Years ago, that kind of genetic engineering would have taken two years. Today, it takes two months. That quick turnaround is particularly important for rare and orphan diseases, those that affect fewer than 200,000 people nationwide, because families and family-run foundations typically fund that research and they do so against a ticking clock — the life of their loved one. “We are really in a race against time. Every day, week, month that goes by, there’s further nerve damage,” said Jocelyn Duff, who lives in Massachusetts and started Cure CMT4J, a nonprofit foundation to find a cure for her daughter, Talia. Where does the research stand? Depends on which disease the lab is working on. In some cases, like the nervous system disorder Friedreich’s ataxia, scientists are struggling to make mouse models match their human counterparts. In other cases, like Talia’s, the model comes more quickly. “All of this has started and ended (for Talia’s disease) within a year,” said Cat Lutz, who runs the Rare and Orphan Disease Center. What’s next? Although the lab doesn’t directly manufacture gene therapies or other treatments for rare diseases, it works with the scientists who do and helps with gene therapy pre-clinical trials to test treatments. How long before it’s available to the public? Each disease is different. In Talia’s case, pre-clinical trials are expected to start at the end of the month. If all goes well — and if Cure CMT4J can raise the million dollars it needs — the Duff family hopes a human clinical gene therapy trial will start in 18 months. Greatest hope: Treatments for diseases that no one else is paying attention to. And a cure for Talia. According to the NIH, 20 million Americans have some form of peripheral neuropathy, forcing them to live with the pain, tingling, numbness and temperature sensitivity of nerve damage. Sandra Rieger, an assistant professor of entity regeneration at MDIBL, hopes to change that for some of them. Her find: a compound that may prompt patients’ bodies to repair those damaged nerves. How does it work? Like Yin, her MDIBL colleague, Rieger started out researching zebrafish regeneration. She found that a naturally occurring enzyme in their skin can degrade the glue in skin cells, preventing nerve endings from repairing themselves. If she blocked that enzyme, she could stop nerve damage — and prompt already-damaged nerves to regrow. Where does the research stand? Rieger has tested a compound that was successful in blocking the enzyme in zebrafish. She is now collaborating with the Mayo Clinic in Minnesota to look at samples from nerve-damaged humans to see if that enzyme also contributes to nerve damage in people. She is also studying the compound’s toxicity in rats and mice to gauge safety. What’s next? Clinical research on patient biopsies. How long before it’s available to the public? Maybe in 10 years if testing and trials show promise. Rieger believes the compound could work as a cream. Greatest hope: While the compound won’t fix all neuropathy — Rieger’s work is focused on nerve endings in the outer layers of skin — she believes it could be an answer for cancer patients who develop nerve damage from chemotherapy. Today, those patients have to live with the pain, and some must quit cancer treatment early because neuropathy can cause organ damage. She also believes it could be an answer for some diabetes patients who develop neuropathy. “Every week I get at least one email from (a person with neuropathy). They are very interested, they are very eager to see what comes out of these studies because there is no treatment. Nobody can really do anything about it,” she said. Mammograms are the best way to find breast cancer these days, but they aren’t perfect. They can be hard to read. They can miss very early tumors. They can indicate cancer when there isn’t any. For a long time, scientists have been trying to better analyze mammograms with computers. A mathematician and his team at the University of Maine at Orono believe they might have found a way. How does it work? Andre Khalil, an associate professor of mathematics and a trained astrophysicist, began looking at mammograms using a mathematical methodology called the wavelet transform modulus maxima method about 10 years ago. His mentor in France had invented the method and another student explored the idea of using it with mammograms. Khalil, who’d used the wavelet approach in astrophysics, picked up the idea at UMO. Khalil analyzes the image, giving each pixel a density score. Areas that are fatty or dense are fine. Those that are neither — a kind of “disruption” in the tissue — have been associated with cancer. Where does the research stand? Armed with thousands of mammograms taken over several years from 100 anonymous patients at Maine Medical Center in Portland and Eastern Maine Medical Center in Bangor, Khalil and his team are testing whether their method predicts cancer. “And if we can, how early can we get it? How many years or months before the radiologist detects it can we find this kind of signature?” he said. What’s next? A larger analysis of thousands of patients’ mammograms. How long before it’s available to the public? Five years at least. Greatest hope: A way to help doctors pre-detect cancer. “Something that is actually going to predict when and where a tumor is going to pop up,” Khalil said. Talia Duff, 11, poses with her parents, Jocelyn and John, and her 14-year-old sister, Teaghan. The Jackson Laboratory’s Rare and Orphan Disease Center in Bar Harbor is creating mouse models with Talia’s very rare genetic disorder in the hopes that scientists can use the mice to find a treatment for the disorder. A closeup look at the “titanium foam” being used by Jim Weber, a veterinarian and associate professor in the School of Food and Agriculture at the University of Maine. Using that material, he and his team have created a new device to stabilize bones from the outside without major risk of infection. Time lapse images of an amputated zebrafish tail show how it regrows over 14 days. Voot Yin, a regeneration biologist and assistant professor at MDI Biological Laboratory in Bar Harbor, hopes a drug can nudge the human heart into regenerating the same way. This is a color-coded view of a normal breast, left, and a breast with cancer, right. Andre Khalil, an associate professor of mathematics at the University of Maine, is studying mammograms using a mathematical methodology. Khalil gives each pixel a density score. Areas that are fatty or dense are fine. Those that are neither — a kind of “disruption” in the tissue — have been associated with cancer. The technique may one day allow doctors to spot the development of breast cancer much sooner than techniques used today. Andrew Kennedy, an assistant chemistry professor at Bates College in Lewiston, works with genetically altered mice to find a way to cure Pitt Hopkins syndrome, a very rare autism-spectrum disorder that can cause intellectual disabilities. In this experiment, mice were placed in a very small swimming pool. Average mice, left, could remember where a platform was located and swim directly to it. Mice with a broken gene that mimics Pill Hopkins, right, paddled around the pool because they could not remember where the platform was. Kennedy has found a drug that restores their memories, prompting hope for Pitt Hopkins sufferers and those with other memory-related afflictions. The effects of paclitaxel, a chemotherapy drug, can be seen on the cellular structures of the skin of a larval zebrafish tail fin. Sandra Rieger, an assistant professor of entity regeneration at MDI Biological Laboratory in Bar Harbor, found that an enzyme in the zebrafish’s skin can prevent nerve endings from repairing themselves. If she blocked the enzyme, she could stop nerve damage — and prompt already-damaged nerves to regrow. She hopes she can apply the knowledge to develop a successful block for humans that would repair nerves and reduce the pain, tingling, numbness and temperature sensitivity often caused by nerve damage. Sandra Rieger, assistant professor of entity regeneration at MDI Biological Laboratory in Bar Harbor. Voot Yin, regeneration biologist and assistant professor at MDI Biological Laboratory in Bar Harbor. John Campbell, interim chief of psychiatry at Maine Medical Center in Portland and interim chief medical officer at Maine Behavioral Healthcare. Cat Lutz, who runs the Rare and Orphan Disease Center at The Jackson Laboratory in Bar Harbor. Andrew Kennedy, assistant chemistry professor at Bates College in Lewiston, is working on a genetic treatment for a rare autism-spectrum disorder. Peter Brooks, senior scientist with the Maine Medical Center Research Institute in Scarborough. Geoff Ganter, professor of biology at the University of New England in Biddeford. Peter Williams, post-doctoral associate at The Jackson Laboratory in Bar Harbor. Jim Weber, a veterinarian and associate professor in the School of Food and Agriculture at the University of Maine at Orono. Andre Khalil, an associate professor of mathematics and a trained astrophysicist, is using a mathematical methodology called the wavelet transform modulus maxima to try to predict breast cancer before tumors are obvious on a mammogram.